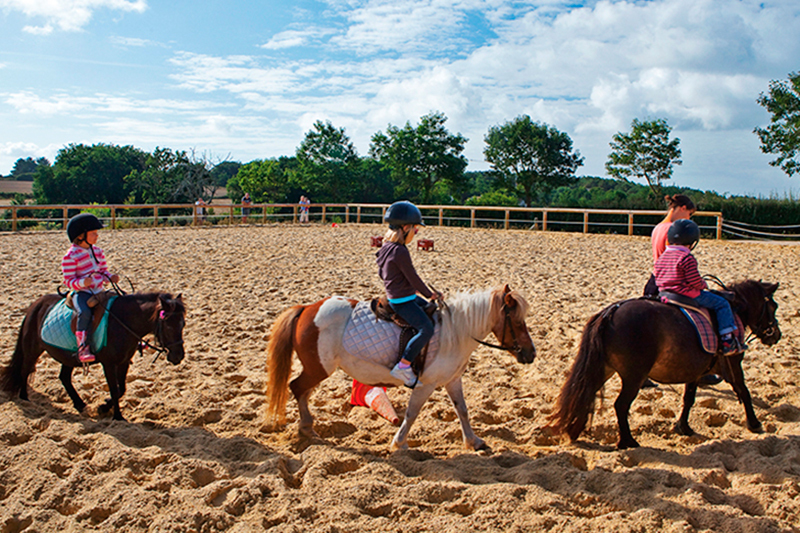 At the Mané Guernehué equestrian center, our riding lessons are suitable for both young and old! Beginners and confirmed riders, are welcome. 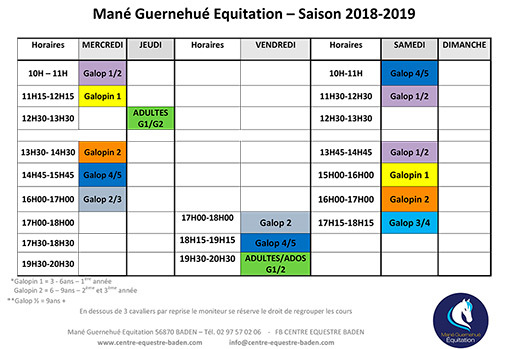 You will have the pleasure of meeting our instructor Valérie Landier who will guide you and teach you throughout the year for your regular or occasional sessions. 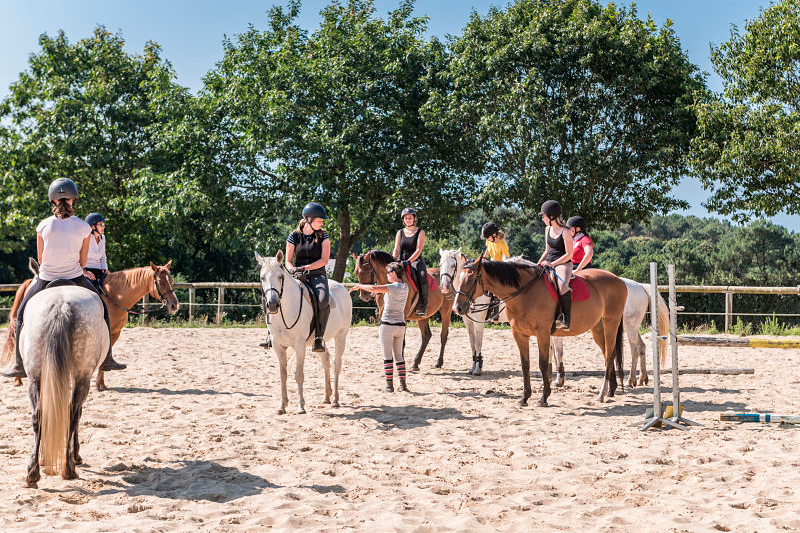 We strive to ensure that each group of riders is homogeneous and small in size to encourage learning and progression for everyone. We propose a first original discovery for young children: The Baby Pony, or as we say, the Galopins. 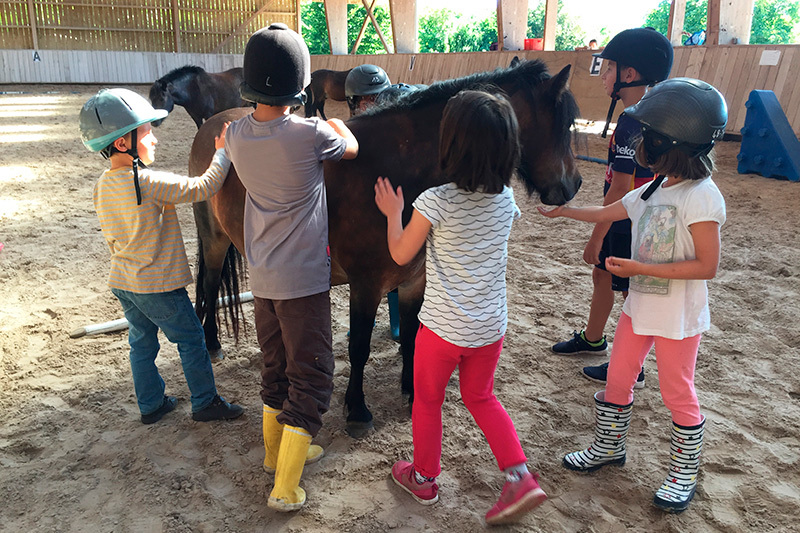 A fun initiation for children from 3 to 6 years old to become familiar with a pony adapted to your childs height and size. After a preparation phase where the autonomy of our Galopins is stimulated, a walk in hand accompanied by parents is on the program. Smell, Hear and Touch. These are experiences that are new to a young child, smells that they won’t smell every day, sounds that are still unknown to your chil and materials that are atypical. It’s a brilliant way to help a child gain in self-confidence and body awareness. Being able to develop a new trustworthy relationship with an very emotional animal.